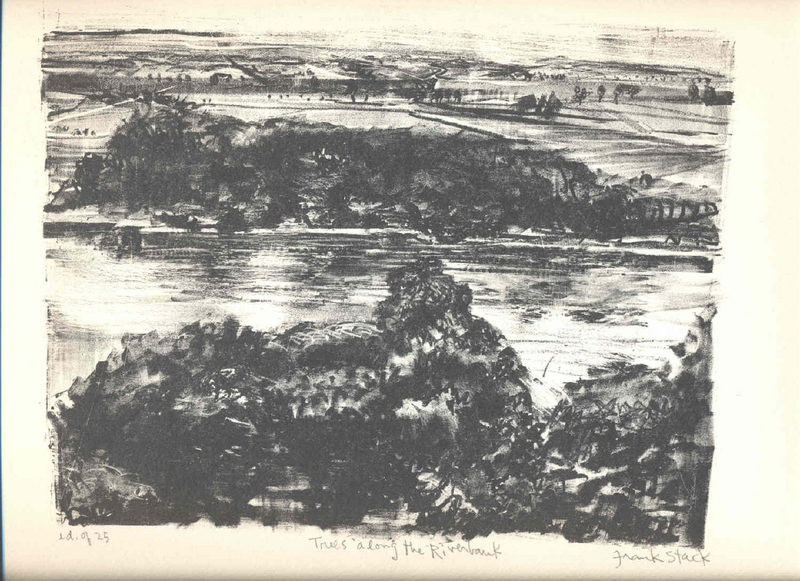 This hand-pulled lithograph represents a view of the Missouri river. The artist has captured this heavily tree-lined section of the river from the bluffs above. He captures beautifully the effects of light and trees reflecting off the surface of the water. This impression is one of a limited edition of only 25. Image size: 7.75" x 10" Sheet size: 11" x 15".